The ISA whole school reform model is grounded in 7 research-based principles that are designed to work synergistically to help under-performing schools graduate all students ready for college and careers. The 7 principles serve as a framework to transform a school’s organizational and educational practices into a personalized and rigorous educational program that embodies the values and goals of the school community and produces a college-going culture. ISA uses a capacity-building approach that includes individual and team job-embedded coaching, summer and winter institutes, workshops, technology, and other professional development strategies to help schools: (1) improve student academic achievement and attainment; (2) build school leadership skills for implementing the organizational and instructional changes necessary for whole school reform; (3) improve teaching and learning in the disciplines as well as numeracy and literacy in the content areas; (4) provide students with the social and emotional (non-academic) supports necessary for school success; and (5) foster family and community engagement. ISA’s college-preparatory instructional program focuses on students’ intellectual development and emphasizes the development of higher order thinking skills, habits of work, and mastery of critical skills in the core content areas. Literacy, writing, and numeracy are embedded in content areas across the curriculum. Other elements of the instructional program include a rigorous inquiry approach to curriculum and instruction aligned with state standards and the use of multiple forms of assessment to accurately capture students’ learning, monitor students’ progress, and guide pedagogical differentiation so that instruction meets the needs of diverse learners. ISA’s continuous professional development includes job-embedded leadership coaching to build school leaders’ instructional and organizational leadership skills to effectively develop, implement and monitor whole school reform. ISA’s continuous professional development for school leaders also includes their participation in the ISA Leadership Network, a community of practice for whole school reform comprised of principals and assistant principals across the ISA school network. The ISA Leadership Network meets throughout the school year to engage in activities such as school visits, classroom observations, and instructional walk-throughs. 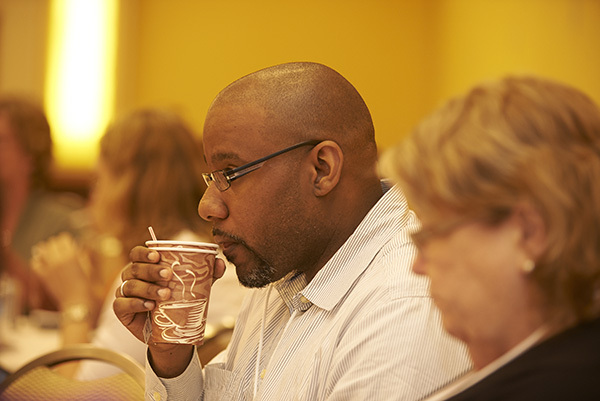 The network also convenes annually for the ISA Summer and Winter Institutes. ISA content coaches provide individual teacher and team coaching in literacy, ELA, mathematics, science, and social studies to support the implementation of inquiry-based, standards-aligned, and college-preparatory instructional strategies. ISA content coaching includes: co-planning and co-developing inquiry-based, standards-aligned curriculum units, lessons, projects and curriculum-embedded performance tasks and assessments; differentiation; modeling instructional strategies that elicit high-order thinking and facilitate classroom discourse; observing teaching and learning and providing evidence-based, non-judgmental, actionable feedback for teacher improvement; locating and providing resources for teachers; supporting the use of data, including student work, to assess the effectiveness of instruction and inform instructional decisions. ISA’s Distributed Counseling™ is a student advocacy and support system in which all members of the school community take responsibility for students’ academic, social, and emotional development and college preparation rather than the customary compartmentalization of responsibility for these components of students’ education. We support faculty development of knowledge and strategies for increasing student engagement in and affiliation with the instructional and behavioral goals of the school; designing and implementing strategies to personalize students’ experiences; and developing and applying interventions that increase students’ opportunities for success and reduce incidents and unproductive behavior. ISA provides schools with coaching in the following areas: leadership-school development, content area (ELA, literacy, math, science, social studies, counseling, advisory, ELL, and special education. Along with the school leadership and teachers, coaches develop an outcomes-based action plan that will be the focus of their coaching. ISA coaches must have had secondary school practitioner experience so that they bring the authenticity, knowledge, and wisdom of real-life school experience to the work of coaching. Learn more about ISA’s approach to coaching here. The ISA school/leadership coach collaborates with school leaders to develop family and community communication strategies and materials to inform families and community-based organizations about the purposes and plans for the whole school reform. They co-plan family and community outreach wherein families can meet the school leaders and staff to ask questions and learn about the redesign so that stakeholders support and have confidence in the reform effort. The College Ready School Assessment (CRSA) is intended to enable network schools to conduct a gap analysis against more than 50 college-readiness indicators. goals and outcomes for the prior school year using evidence. The Sustainability Inventory is a process after a four-year collaboration with ISA for identifying those areas of achievement the school needs to sustain and those areas where the school needs targeted services to address gaps.